Several of TSMC's factories have gone offline, following the infection of factory equipment. The timing may not be the best for the manufacturer, and Apple, as TSMC is currently ramping up chip production for launch of Apple's latest iPhone models that are expected to debut in September. TSMC was able to isolate the issue and resume work at a portion of the impacted factories, with some not able to get going until Sunday at the latest. As chip manufacturing isn't an instant —or short —process, an interruption in production has the potential to cause the loss of weeks of production. While this appears to be a targeted attack, TSMC says that it was not the work of a network intrusion. This marks the first time TSMC has been hit by a virus, taking down their facilities. "TSMC has been attacked by viruses before," Chief Financial Officer Lora Ho said speaking to Bloomberg News "But this is the first time a virus attack has affected our production lines." TSMC has refused comment on any losses of production the company has taken, nor has it remarked about what clients are directly impacted. Historically, the vast majority of TSMC's total capacity is devoted to the A-series processor in early August. 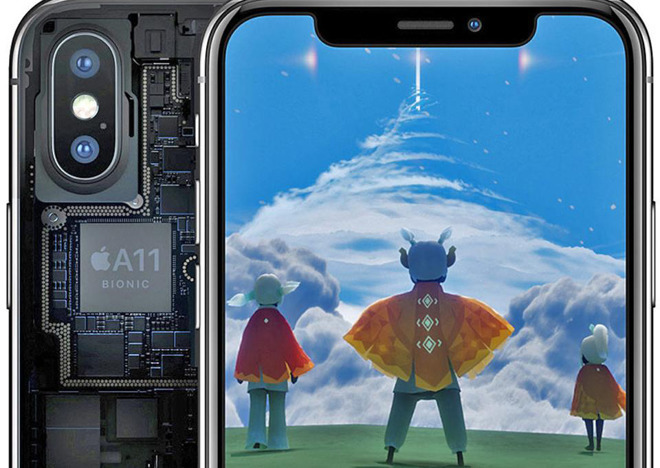 Apple relies on several different manufacturers for various components of the iPhone, but TSMC is presently the only manufacturer of Apple's custom A-series chips. The 2018 iPhone will most likely include an "A12" processor as the iPhone 8, iPhone 8 Plus, and iPhone X included the A11. Lately, TSMC recently had a less than outstanding quarter, and was expecting "high signal digit" growth this quarter, relying heavily on the latest iPhones. In May, AppleInsider reported that TSMC had started production of the next generation 7-nanometer A12 processors.